The Mini-lift enhances key facial areas with less risk, less stress and a shorter recovery time than standard facelift surgery. The Mini-lift is a popular and attractive option because it reduces minor sagging, smoothes and tightens the cheeks, jaw-line and neck. 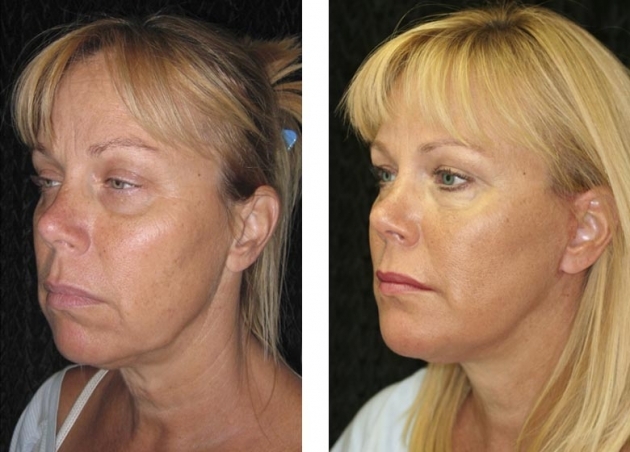 Mini-lift surgery cannot stop the aging process, but can really restore a youthful look. In fact, studies show earlier procedures have better long-term effects as the skin maintains better elasticity and tone. Mini-lift surgery can be done alone or often complimented with other procedures, such as eyelid lift or laser skin resurfacing as determined by Dr. Sawisch during your consultation. The Mini-lift procedure is approximately a 2 1/2 hour procedure at our on-site surgery center. This same-day surgery is an outpatient procedure, with IV anesthesia provided. A pressure dressing is required to be worn for 48 hours, followed by a facial garment for 1 week. Sutures typically are removed at 1 week, and most patients can return to work at 10-14 days. More strenuous activity should be avoided for 2-3 weeks or more. Bruising typically lasts 1-2 weeks, but Arnica tablets are recommended to reduce bruising and speed healing. Patients must limit exposure to sun for several months and should use a sunscreen thereafter.